Roasted red capsicums are a staple of the Greek kitchen. 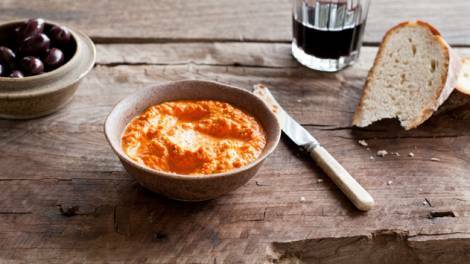 Served with crusty bread, this dip works well as a snack or as part of a mezze platter. Serve at room temperature or chilled with crusty bread.